“Although new to running for office, I’m not new to public service. I’ve built my career on working for a safer Minnesota,” says first-time candidate Kelly Moller. Her desire to seek justice for crime victims was the impetus for her decision to go to law school. She graduated from the University of Notre Dame with a business degree and Hamline University School of Law. Moller has been a career prosecutor and victim rights advocate focusing on sexual assault cases for 20 years. Currently, she handles criminal appeals on behalf of the State of Minnesota as an Assistant Hennepin County Attorney. Moller has been recognized by the Minnesota Coalition Against Sexual Assault for her work to secure victim privacy. She also served as the Executive Director of the Minnesota Alliance on Crime. 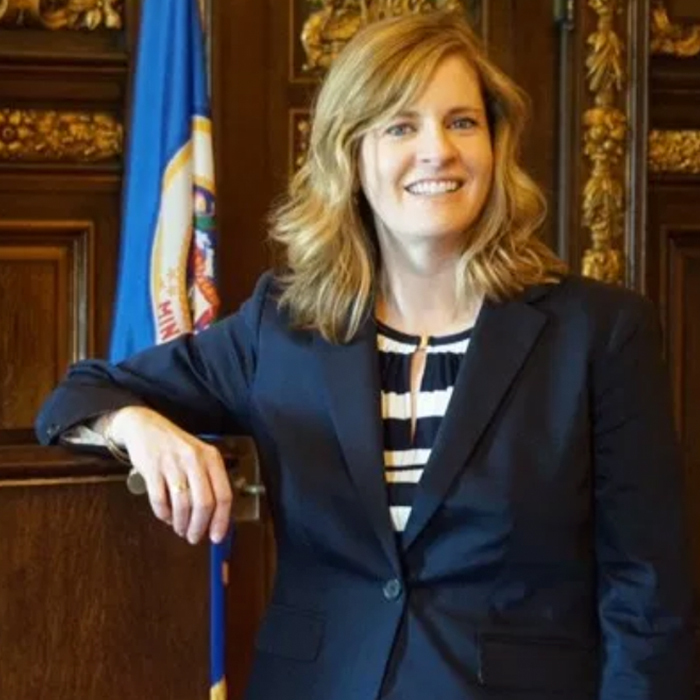 She is a member of the Minnesota County Attorney’s Association appellate committee, AFSCME Local 2938, and Shoreview’s public safety committee. She was instrumental in strengthening Minnesota’s hit-and-run law, an accomplishment recognized by MADD. Kelly Moller and her husband Kevin have lived in Shoreview for nearly 20 years. Her husband is a project manager at Boston Scientific, and their two sons attend Mounds View Public Schools. Clinton won HD 42A by 14% margin (12,501 to 9,122 votes)! In the 2016 House District race, Republican Randy Jessup won by only 125 votes. This district vote very reliably DFL for state and federal offices. Kelly Moller will work on behalf of the citizens of District 42A. With this district voting for DFL party several times prior to Jessup's election and having voted for Clinton and Obama, this race has a strong chance of having a Democrat elected, if Democrats show up to the polls. Moller wants to ensure that schools have the resources they need, including enough qualified teachers. She wants college education to be affordable and job training to be available to Minnesota residents. Moller wants waterways to be protected from contaminants, and her vision is a 25% improvement in water quality by 2025. She wants higher standards for renewable energy, and she supports science-based environmental policy. Moller will promote affordable housing, infrastructure investment and a well-trained workforce to attract and retain businesses. 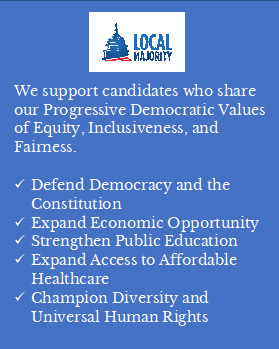 She supports living wages, collective bargaining, and will work to ensure the availability of high-quality child care. Moller supports criminal justice reform, especially those laws that disproportionately impact minorities. Moller supports common sense gun legislation that closes loopholes which allow firearm purchases without background checks. She will expand victims’ rights and supports sexual violence prevention efforts. Geography and Environment: The cities in the district include most of Shoreview, Mounds View and Arden Hills. It is about 10 to 12 miles north of Minneapolis, a drive that takes from 12 to 15 minutes. Like the rest of Minnesota, summers in the area are sticky, winters are freezing, and ice hockey attracts devoted fans. There is a plethora of ice skating opportunities in the district with five seasonal outdoor ice-skating rinks and two year-round rinks. Bethel University has an enrollment of 4000 students. Close to the district is the University of Northwestern – St. Paul, which has 3400 students. Citizenry: Because of nearby universities, the population includes a large number of young adults. Among other adults, residents between 44 and 60 years of age have the highest presence. The least represented ages are people in their (post-college) twenties, thirties and early forties. The median age is 43, which is six years older than the national median age of 37. For households speaking languages other than English, Spanish is most common, followed by Chinese, Hmong and various African languages. The overwhelming majority‒85%‒of the population is white. Asians comprise just under 7% of the inhabitants. Hispanics, blacks and people of mixed race are each under 2% of the population. Just over half of the residents of Ramsey County affiliate with a religion. About 25% are Catholic, 13% are mainline Protestant and 8% are Evangelicals. Education: Approximately 55.5% of district residents have a bachelor's degree or higher. This is significantly higher than the state as a whole, where only 43% of Minnesotans have a college degree. Forty percent of the population has a high school diploma. The percentage of residents without a high school degree is 4.5%, which is less than the statewide average of 8% without a high school degree. Economy: The median income is $76,300, with the most affluent portions of the district in Arden Hills and Shoreview. 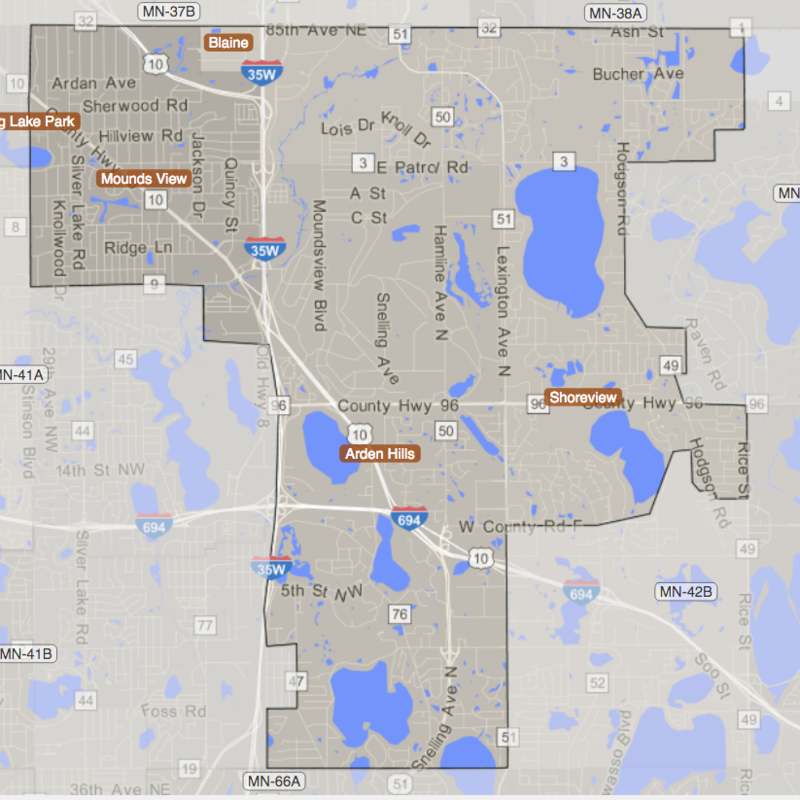 The least affluent area is Mounds View. 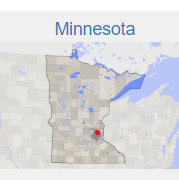 For comparison, the median household income for Minnesota is just under $60,000. All income quintiles in the district have higher incomes than the corresponding statewide averages. A small percentage‒4.6%‒rely on food stamps. The district unemployment rate is 4.7%, which is slightly less than the national rate. The sectors which employ the larger number of residents are manufacturing (17%), education (13%), healthcare (11%) and retail (10%). Mounds View has a Medtronic facility. The headquarters of the food company Land O'Lakes is in Arden Hills, as is a Boston Scientific facility. Printable summary of district profile. Republican trifecta control of Michigan (Governor, Senate and House) has resulted in a bad economy. deteriorating roads and infrastructure, a devastated educational system riddled with non-performing for-profit charters, and polluted water. It's time to bring Democrats back to clean up the mess and create opportunity for all Michigan residents. Randy Jessup graduated from Bethel University with a B.A. in pre-engineering. He received a B.S. in chemical engineering and a M.B.A. in marketing from the University of Minnesota. He is the owner four UPS stores. Previously, Jessup worked in marketing at Ecolab and Quaker Oats. Jessup lives in Shoreview with his wife and three children. Jessup is one of five Assistant Majority Leaders. He is also a member of the Education Innovation Policy Committee, the Government Operations and Elections Policy Committee, and the Higher Education and Career Readiness Policy and Finance Committee. Jessup advocates for access to good jobs. He also wants to encourage the creation and expansion of local businesses. He wants the achievement gap in some Minnesota schools to be lessened by out-of-the-box solutions, and he wants to bring down the costs for MNsure, Minnesota's health insurance marketplace. Potential Strengths: Some of Jessup's positions are seemingly moderate. Jessup authored a bill to provide for mandatory screening of, and instruction for, students with dyslexia. He also authored a bill establishing a grant program for students with intellectual and developmental disabilities, including appropriating money for it. Potential Weaknesses: In a district that Hillary Clinton won with a margin of 14%, many of Jessup's legislative votes are likely to dampen his support. He has voted to weaken environmental standards (HF 3280, in 2018), to inadequately fund higher education (SF 2214/HF 2477 in 2017), to weaken teacher licensing requirements (HF 140, in 2017) and to support a form of vouchers that would enable public money to be spent on private and religious schools (HF 4, in 2017). Jessup is against any sort of common-sense gun control. He does not support a ban on manufacture of firearm magazines holding a certain number of rounds. He does not support any controls on bulk purchase of ammunition, either in person or online. Conversely, he supports "stand your ground" laws for Minnesota. He received an in-kind donation from Robert Doar, who is both the Political Director of Minnesota Gun Owners Political Action Committee and was Jessup’s campaign director. Jessup has refused to supply voters with positions on key issues as per Vote Smart. He is funded by multiple small businesses and marketing groups. Jessup was credited by City Pages with one of the nine worst ideas coming out of the 2018 Minnesota legislative session. 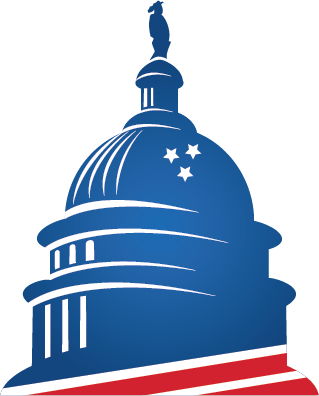 City Pages, which referred to it as the “Stop Me Before I Legislate Again” Act, described it thusly: "The Legislature traditionally begins each odd-numbered year with the responsibility of passing a state budget; it traditionally ends May of each odd-numbered year trying to pass every single dollar of it in one panicked last-minute rush. Mistakes get made. Even worse is what they do on purpose, sneaking ugly policy into big budget bills the governor is obliged to sign. In recognition of this ineptitude, a bill from Rep. Randy Jessup (R-Shoreview) would fund government agencies at 90 percent of the existing budget in the event of a government shutdown. Great idea! That way, they don’t even have to try to pass a budget and can get back to what they do best: writing bad bills." Jessup has voted to inadequately fund higher education (SF 2214/HF 2477 in 2017), to weaken teacher licensing requirements (HF 140, in 2017) and to support a form of vouchers that would enable public money to be spent on private and religious schools (HF 4, in 2017). Moller supports criminal justice reform, especially those laws that disproportionately impact minorities. Moller supports common sense gun legislation that closes loopholes which allow firearm purchases without background checks. She will expand victims' rights and supports sexual violence prevention efforts.